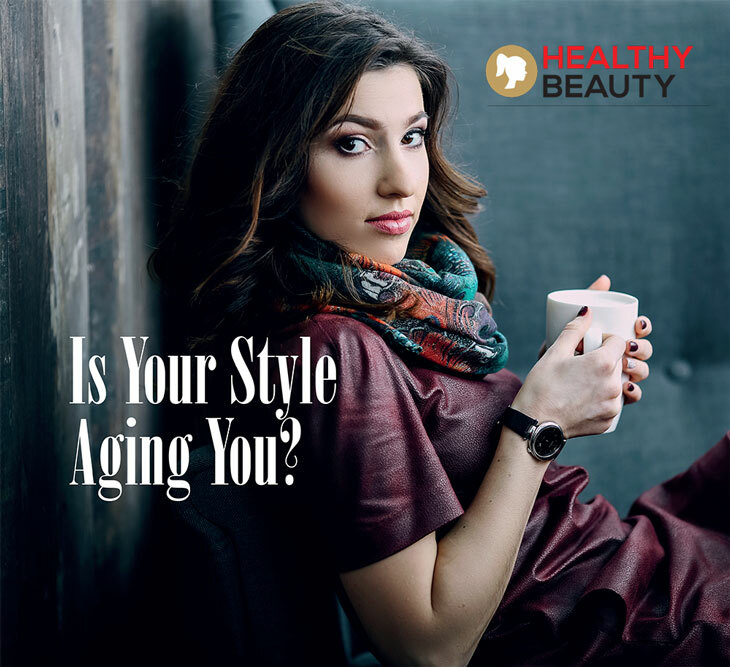 Is Your Style Aging You? YOU MAY HAVE GORGEOUS HAIR AND ON-TREND MAKEUP, BUT IF YOU DRESS THE WRONG WAY, YOU COULD BE ADDING YEARS TO YOUR OVERALL LOOK. HEALTH REVEALS THE TOP STYLE MISTAKES WOMEN MAKE AND HOW TO CORRECT THEM. Mistake #1: BUYING OVERLY STRETCHY JEANS Not only can these over accentuate imperfections on even the thinnest women, overly stretchy jeans rarely flatter anyone. Instead: Opt for slim cut or boot leg, preferably in a darker blue or navy. Mistake #2: WEARING TOO MUCH BLACK We all love black, but wearing too much of it can give us a severe, harsh look. When worn near the face, it can even accentuate lines and wrinkles. Instead: Break it down with color or stick to charcoal grey or taupe, which is more flattering to any skin tone. Mistake #3: OVERLY SENSIBLE SHOES Comfort aside, wearing heavy rubber soled shoes or shoes with a very wide toe box can give the impression that you borrowed your grandma’s shoes. Instead: Look for classic ballerina flats in good quality or leather flats that give a polished, sophisticated, and younger look. Mistake #4: STICKING TO TRENDS FROM THE PAST Whether it’s your favorite silk scarf from two decades ago or a two piece suit for the office, sticking to past trends without updating the look can make you look years older than you really are. Instead: Ditch the past fads and invest in classics such as crispy white shirt, a good quality long coat, and well-fitting dark colored pants. Mistake #5: WEARING TOO MUCH JEWELRY Heavy, flashy earrings, long necklaces, or clinking bangles not only look dated, but can give a gaudy look. Instead: Stick to one key good quality statement piece. Earrings work well in the form of simple diamond or pearl studs, while a short strand of good quality pearls works well for the office and evening. Even an understated, delicate gold chain can infuse elegance instantly.